This is my bad and sad experience with CPS (Costruzione Pistoni Speciali, in Torino) Italian custom forged pistons. It costed me 823 euros, all that to aquire a set of pistons I can not use unless I modify many things in the engine. Custom you said ? Yes, you customize your engine to fit their pistons. Pictures at the end of this page. Since then, as I talk to part vendors, I hear that people stop working with CPS because they have more and more problems of any kind. Compared to other brands CPS are cheap (160 euros excl VAT compared to usual 200 euros excl VAT for others), but if it's to get pistons you did not order it's still too much. In March 2015 I contacted CPS to ask whether they could make a set of 4 custom pistons for a Delta HF ie (1585cc) engine. I'm converting this originally turbo engine into a N/A one (to use it in a Fiat 124 Coupe) so I need standart pistons with a high compression dome. 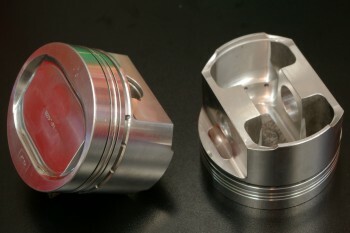 CPS is a renown Italian piston maker and they are used to manufacture Delta HF pistons. 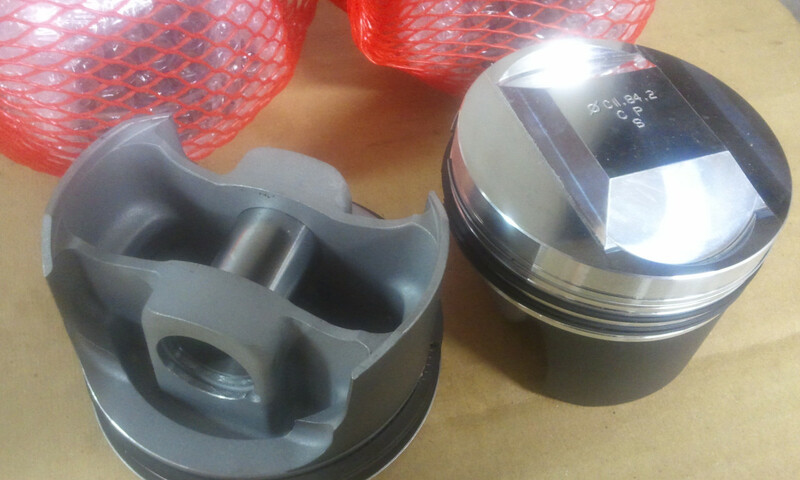 Their web site shows pictures of HF ie and HF Integrale pistons. I was assuming they would know what and how to do. So I specified the bore, custom dome drawing with dimensions, compression height, ring position which I wanted closer to the deck, and told them that all the rest (like valve pockets) was as stock and should fit a Delta HF ie 1585cc engine. The communication was in French. I knew the person who is in charge of communication speaks French and English, so I choose the language that is closer to Italian. I was wrong, it became clear later that this person is not familiar with technical terms related to pistons, even after having worked for more than 10 years with CPS. 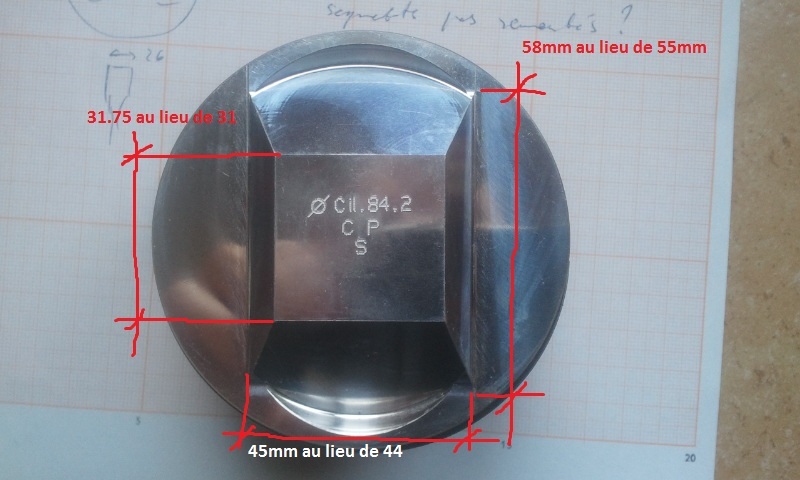 After few email exchanges, with sometimes long interruptions as they seem to be overwhelmed, they told me that everything was OK and sent me an email and then a proforma (a bill) which were both specifying "TOUS LES 4 PISTONS SERONT CENTRALES": "All pistons will be central". Well, if you don't know Lampredi engines this does not make sense. If you know them you'll assume this means pistons will be for the cylinders 2 and 3. Because in Lampredi engines pistons 1 and 4 are offset toward engine ends, they are not aligned with head chambers. This only impacts the piston domes which must match all three aligned and misaligned locations. This was not a problem because the dome I had specified was made for this. It turned out later that the sentence above ment: "All pins are not offset". It's difficult to understand how an Italian speaking person can mix up "pistons" and "pins" (or axles). Pistons in Italian are "pistoni" and in French "pistons". I paid the day after. Then followed one month of manufacturing and after that pistons arrived. Of course the most important defect was the lack of space to fit conrods. 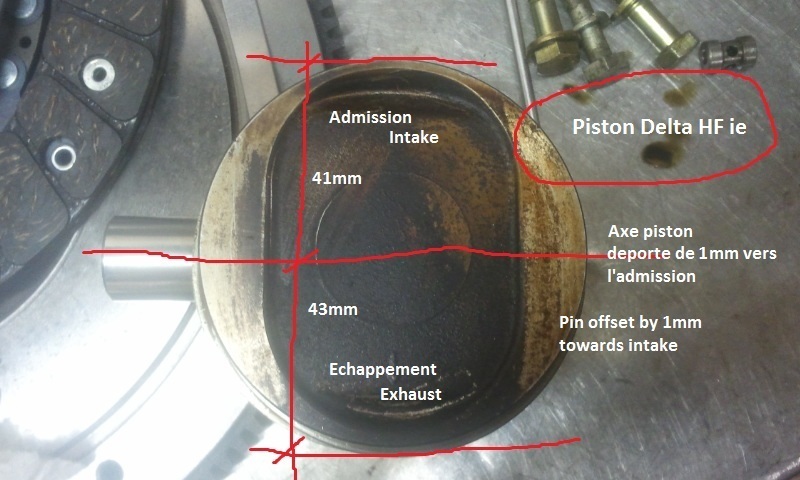 Piston offset in the wrong direction means noisy engine and more mechanical losses with high risk of rapid wear. The impact to CR is quite low. 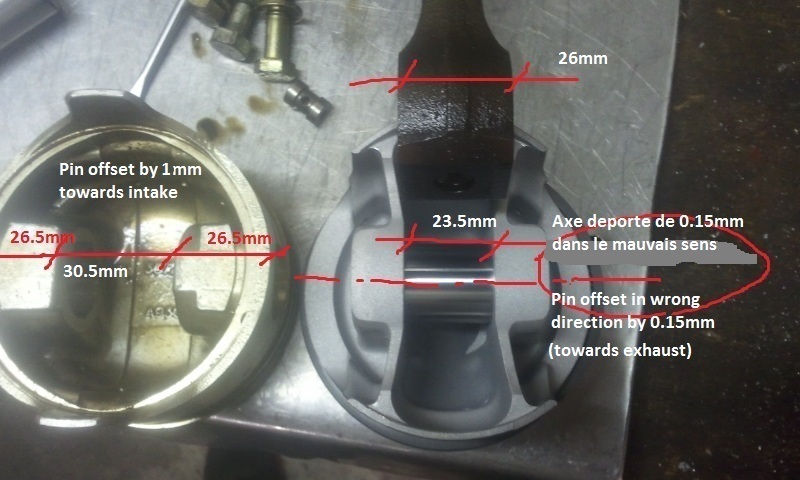 Wrong dome dimensions ment wrong CR and risk of valves hitting pistons. Rings at stock position was not a huge problem but still it was not what I specified. It seems like they did not understand my drawings (but they are supposed to know HF pistons). I wrote them, this time in English, that pistons were not how I wanted them, explaining every point. I asked to make pistons again or refund me, the answer was that pistons are like I ordered them. You'll ask me why am I exposing all that instead of suing them. Well, I tried. But CPS know that Italian justice is VERY slow, according to my Italian lawer it'd take 5-10 years to get to the court. I've got all the proves and I'm sure to win, but it's just unpractical and I've got my life to live. I'm quite sure that with all bad opinions I heard about they won't survive 10 years. They'll be acquired by another piston manufacturer to become just a production site, or will die. They got stuck in the worst 20th century business mentality, while their competitors have evolved. I'll try to sell these pistons, they can be used on a first generation Lampredi engine (because of the piston pin offset) by someone who would use custom conrods or machine the stock ones. I use the inversed HF ie head and I prefer to keep stock conrods as I'm building an every day engine which must be easy to maintain. Since then I ordered another set of pistons from Matzz (in Austria) and I'm very happy with their way to work and the pistons I got. I warmly recommend them. My CPS pistons, obviously made from a different forged base than the advertized ones.